Portrayer: Barry Jenner, October 19, 1976 - December 19, 1977; December 29, 1978. Arrival: Accepted a job with Gordon Enterprises. Introduction Scene: In an office at Gordon Enterprises to Alice Matthews Frame, "Good afternoon." Exit Scenes: (1977) Randolph living room holding John Randolph (RIP) at gunpoint, "Then get outside." 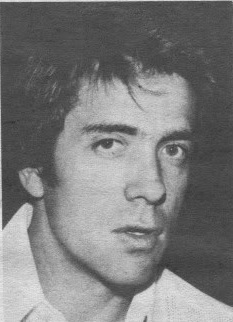 (1978) Appearing in Olive Randolph's daydream. Date of Death: December 19, 1977. Cause of Death: Killed accidentally by John Randolph (RIP). Dates: Angie Perrini (1976) and Joan Barnard (1977). Occupation: Architect at Gordon Enterprises.